This summer marks the 25th anniversary of the movie Top Gun. It’s hard to believe it’s been 25 years since many of us “strapped in” our movie theater seats for the Hollywood ride of our lives. The movie easily makes my Top 5 Porsche movies list (Top 5 Porsche Movies of All Time). 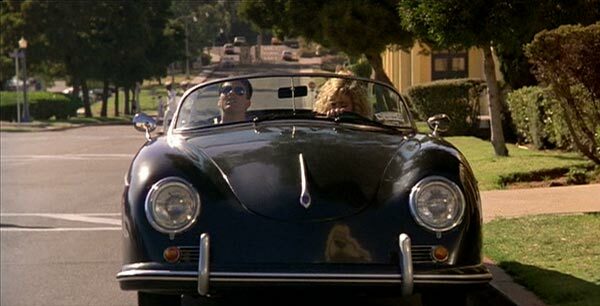 I would say the movie has been responsible for causing a lot of people to fall in love with the Porsche 356 Speedster (despite the fact that the movie car was a fake) and the Porsche brand overall. I can still picture the blond bombshell blasting down the road in that open top beauty. 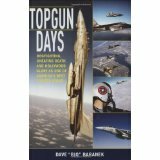 Given my sentimental feelings about Top Gun, I was excited to see a copy of the book TopGun Days show up for me to review. Even though this may seem like a strange place to read about a fighter pilot biography, the strong ties Porsche has in many people’s minds to the movie make it fitting. TopGun Days is the memoir of Dave “Bio” Baranek. What’s cool about this book is Dave was one of the Topgun instructors (yes, an instructor at the actual Topgun in Miramar) who participated in the aerial moves used in the movie. He writes not only about his experiences as a fighter pilot, taking readers through a first hand look from the cockpit, but gives a behind the scenes look at how the scenes in the movie were shot. As you can imagine, Dave had a pretty distinguished career as a fighter pilot. This definitely comes out in his writing and you get a sense of what life is like from the cockpit of a plane rather than just the cushy seat of a movie theater. I’m anxious to see the movie again after reading the book. It certainly feeds my imagination. The book is worth picking up, even if you just read the Top Gun movie related chapters. Now if they would have mentioned the Porsche, the book would have been off the charts!